Flowers symbolises beauty and elegance in every manner and floral jewellery or flower jewellery has become the latest fashion fad. 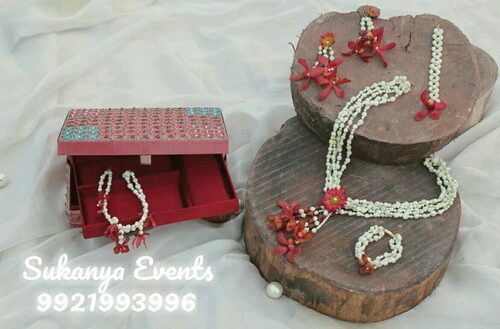 Floral jewellery makes the bride’s look unique and beautiful on thier Haldi, Mehandi and Wedding festivities. If you want to buy some great floral jewellery or flower jewellery, these online stores will help you. Shop Online !! 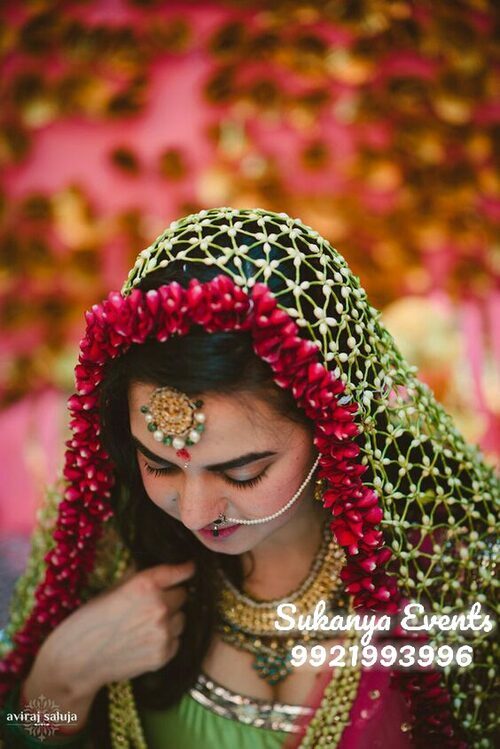 Flower jewellery has its own unique charm on every bride. It has been trending for Mehendi & haldi functions of bride since years. There are many websites where you will find a range of artificial flower jewellery online. 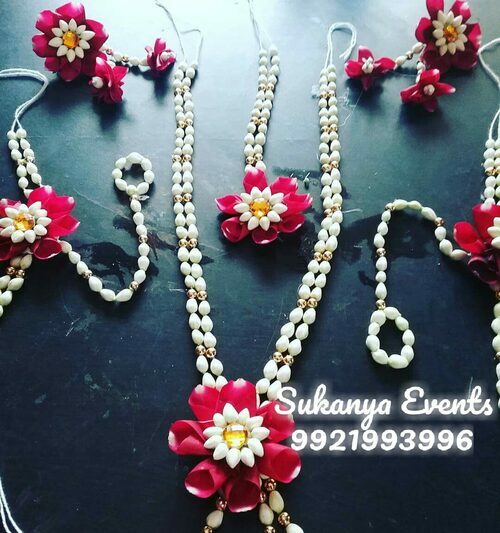 The well-known websites for floral jewellery are Amazon, Flipkart, Sukanya Events Jewellery and Kraftly. 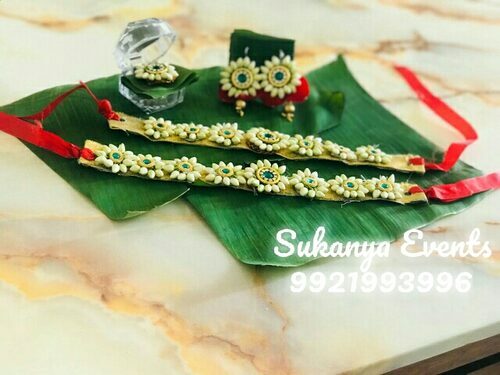 At Sukanya Events you will find a range of Real flower jewellery for mehndi, haldi and baby shower ceremony and designs on their website is difficult to find anywhere else. 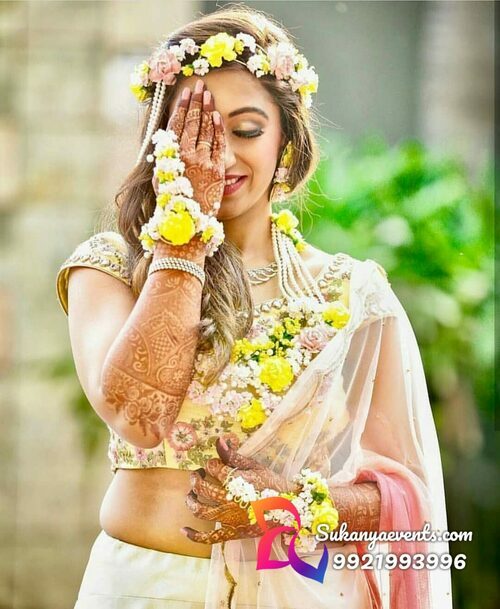 Fresh flower jewelry is so unique and in latest trend for all special occasions like Mehendi, Wedding, Sangeet. They are made with fresh flowers like tagar, jasmine, rose, orchids, berries and make the wearer feel beautiful and special. The full set would consist of flower necklaces, flower rings, Maang tikka, Bajuband, Kamarband Karnphool and Haathphoo. 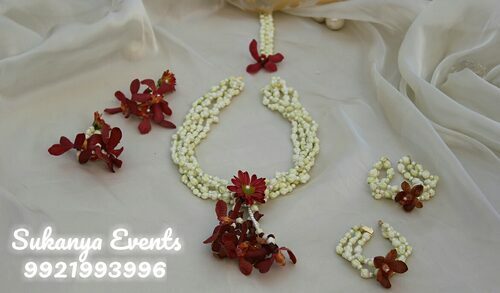 These designs can be customised as per your dress color, how heavy jewellery you prefer and the flowers you want. Well I think you can order it online or I would suggest that you can customize it by your own from my online shops. 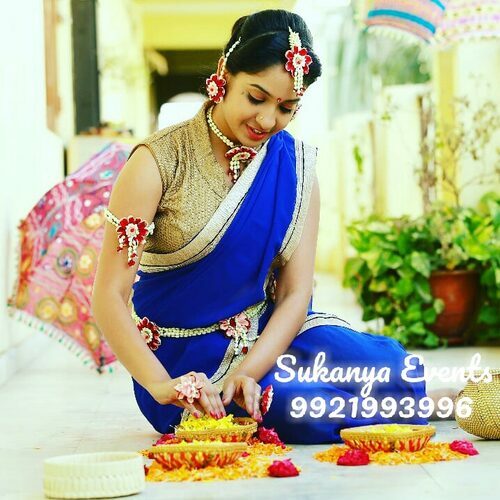 Enhance Your Beauty Wearing Stylish And Beautiful Real Flower mundavalya. 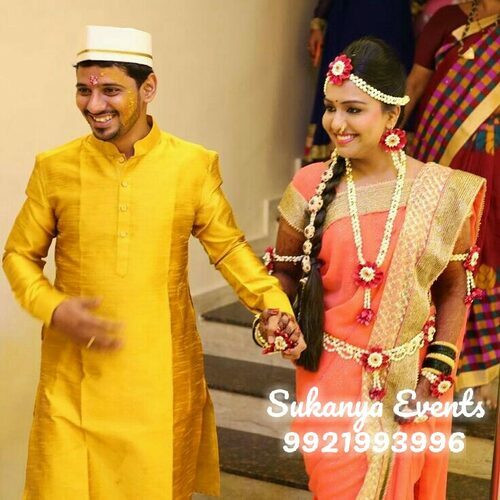 Maharashtrian wedding is simple yet very unique than any other type Indian of wedding. 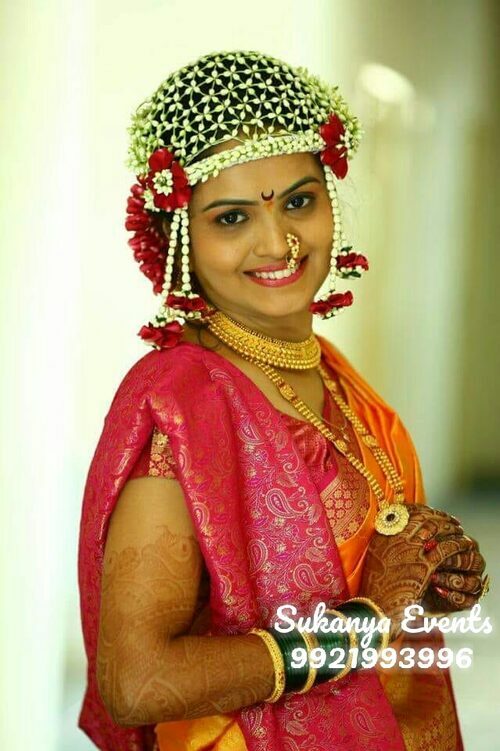 Unlike other brides Maharashtrian bride wear a green or yellow paithani saree & choose to wear either gold or pearl Maharashtrian Jewellery on the wedding day. The very common thing among bride & groom on their wedding is Mundavalya. 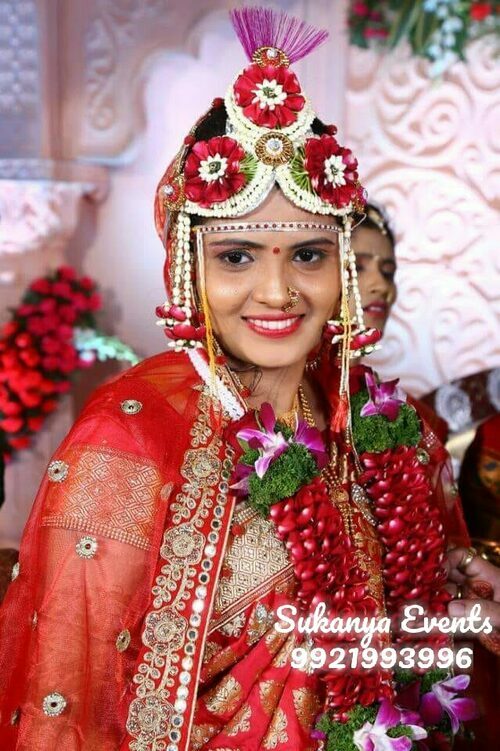 Mundavalya is a forehead ornament worn by Maharashtrian bride & groom. 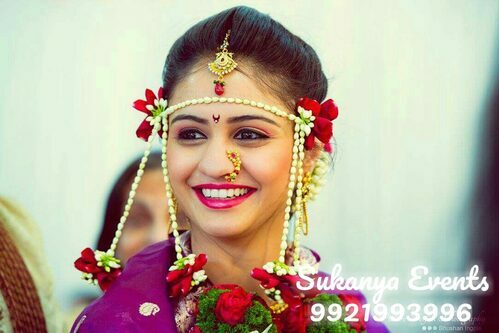 It is made from tagar & has two tagar strings which define the togetherness of bride & groom. 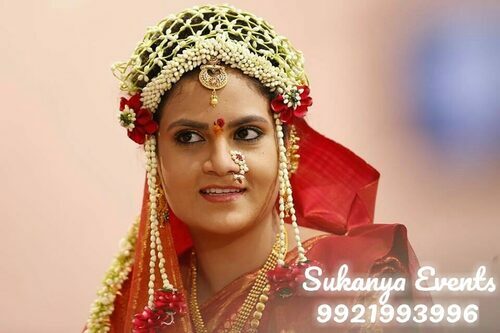 It is horizontally tied on the forehead & it has great importance in Maharashtrian wedding.The marriage function starts with Gaurihar Puja in which bride is gifted paithani saree & Mundavalya.The Mundavalya is tied on bride’s forehead when she is ready to step towards the mandap. 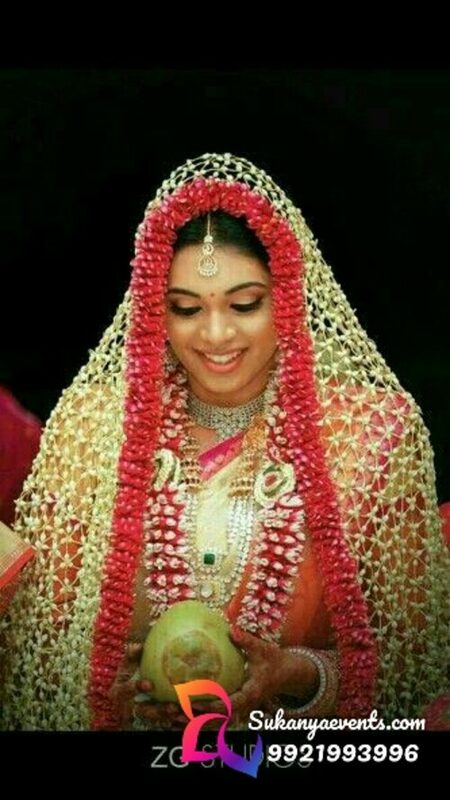 It means that she is happily ready to marriage. The Maharashtrian wedding is incomplete without Mundavalya. 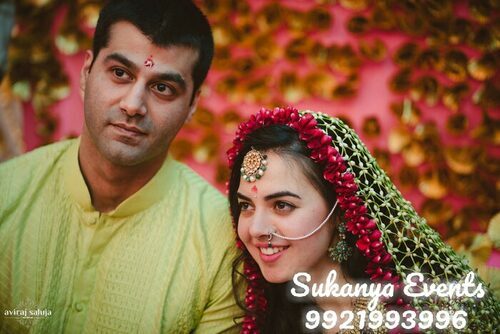 To complete your very special day of life Sukanya Events offers a huge collection of Mundavalya. 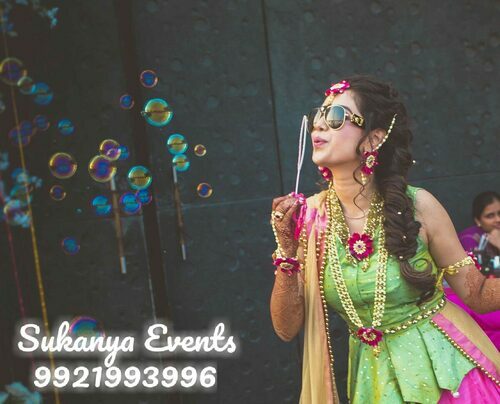 So visit now at Sukanya Events !! 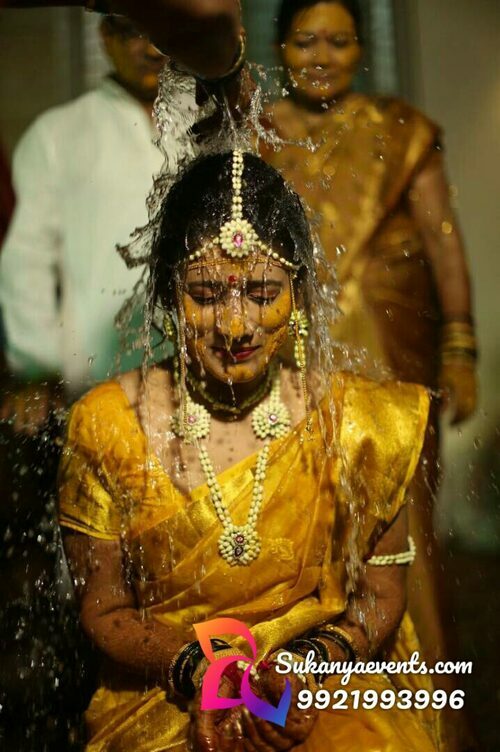 The Haldi ceremony is a ritual holy bath also known as pithi ceremony, which is one of the pre-wedding ceremonies in India. 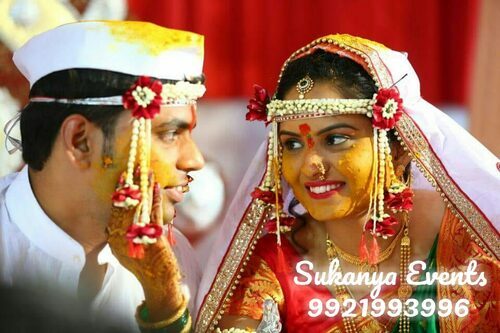 Turmeric (haldi), oil and water are applied to both the bride and groom by married women on the morning of the wedding. Women wearing yellow saree with Stylish And Beautiful Flower Jewellery For Haldi. 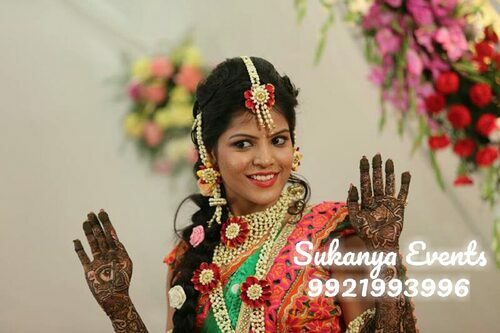 Mehndi Make Women More Beautiful And Shine !! 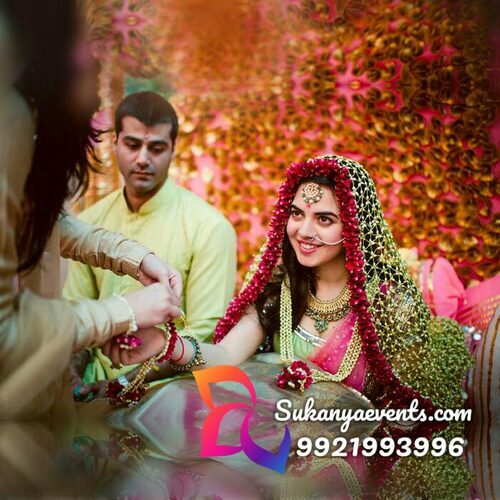 The Mehendi Ceremony is one such event that is an indispensible part of the wedding celebrations. Mehendi Ceremony generally refers to application of a henna paste in elaborate intricate designs on the bride's hands and feet. Some People Celebrate Sangeet And Mehendi rassan Together.